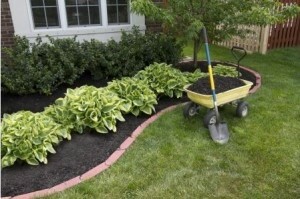 Are you thinking about doing some landscaping on the exterior of your home? We know it can be difficult to figure out where to begin. VistaPro Landscape & Design understands that there are many homeowners out there who need help with their landscaping, and we offer a wide range of landscaping services to handle every need. But did you know we offer free consultations as well? Our free landscaping consultation gives us a chance to speak with you about exactly what we can do to assist you and your landscape. During your free consultation, we will even provide you with a no-obligation landscaping quote so that you know what you can expect to pay for the landscaping design and feature construction that you’re looking for. When you get a free on-site landscaping consultation from VistaPro Landscape & Design, we will take a look around the outside of your home and your overall property and make suggestions as to what we would do to improve your yard. We will also speak with you during your free consultation about what you want to see done on your property. Whether you just want basic landscaping services or you are looking to incorporate more advanced features like a pond, pool or outdoor kitchen, we are equipped to meet your needs. We can also give you a free landscaping quote that will let you know what it will cost to bring your landscaping vision to life. Would you like to arrange for your free landscaping consultation? VistaPro Landscape & Design would be happy to come to your home soon for a free consultation. Call us at 301-805-0119 in the D.C. metro area; at 410-878-2100 in Annapolis; or in Virginia at 703-652-4545 to schedule your consultation today.